According to a study published in the American Journal of Physiology, the chemical flavorings and additives in e-cigarettes can potentially cause more damage to the lungs than damage caused by conventional cigarettes. The study, which was conducted by medical investigators at the University of Athens, Greece, found that when vaporized, the chemical flavorings and additives can cause considerable inflammation in the lungs. According to researchers, even short-term e-cigarette use can induce significant inflammatory lung damage. Although this inflammation does not appear to pose a cancer risk, there are a number of other serious health risks associated with this kind of respiratory strain. “Electronic cigarettes are advertised as a less harmful nicotine delivery system or as a new smoking cessation tool. 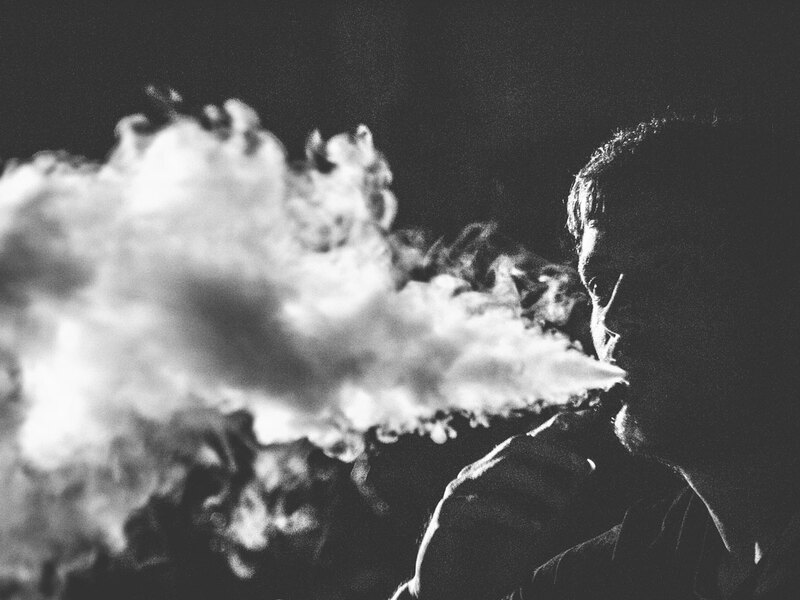 Our findings suggest that exposure to e-cig vapour can trigger inflammatory responses and adversely affect respiratory system mechanics.” explained the study’s co-author Dr Constantinos Glynos. Experts in the field say that this first-stage exploratory research, which was conducted on lab mice, should have been initiated years ago before e-cigarettes gained market approval. “They [e-cigarettes] hit the market around 2006, 2007 before research could be conducted to determine what the potential problems would be. The manufacturers were the ones telling us that these products were safe to use,” explained Dr Patricia Folan, director of the Center for Tobacco Control, a division of Northwell Health in Great Neck. These e-cigarette manufacturers never actually tested the potential health risks of their products but based their safety claims about these flavorings and additives on previous approvals made by the FDA for a variety of food additives. As Dr Folan accentuated in her comments, these flavorings and additives were deemed safe for consumption, but no tests were conducted on the long-term effects of inhaling these chemicals in their vaporized state. Only now, more than a decade later, are the first third-party researchers exposing these health risks. Now, it may, unfortunately, be too late. The long-term effects of exposure to these chemicals could be detrimental to the millions of US smokers who have made the switch to e-cigarettes. Previous research has been conducted on one chemical additive prevalent in e-cigarettes, diacetyl. Multiple studies have linked vaporized diacetyl to the medical condition bronchiolitis obliterans (popcorn lung), a degeneration of the lungs that can result in total respiratory failure and even death. The dangers of diacetyl were only uncovered after researchers learned that foods containing diacetyl posed a threat to consumers, prompting research into the dangers of diacetyl in e-cigarettes. Until recently, diacetyl was the only chemical additive found in e-cigarettes tested for safety in its vaporized form. The American Journal of Physiology study found that other chemical additives found in e-cigarettes previously thought to be safe, such as propylene glycol, may be responsible for causing respiratory inflammation and other pulmonary problems. While some e-cigarettes, such as the popular Juul e-cigarette, do not contain diacetyl, almost all do contain propylene glycol and other potentially harmful chemicals. A number of the flavor chemicals used in most e-liquids also contain aldehydes, which, when inhaled, can irritate the mucosal tissue in the respiratory tract. The new research linking these chemical additives to lung inflammation may challenge Juul’s (and other manufacturers’) claims that their products are a safe alternative to conventional cigarettes. With this new revelation of e-cigarette dangers, experts are calling for further research into the potential short-term and long-term effects of e-cigarette use. “The observed detrimental effects in the lung upon e-cigarette vapour exposure in animal models highlight the need for further investigation of safety and toxicity of these rapidly expanding devices worldwide,” Dr Glynos said.